Until now, we have been taught that forgiveness is good for us and that good people forgive. Dr. Spring, a gifted therapist and the award-winning author of After the Affair, proposes a radical, life-affirming alternative that lets us overcome the corrosive effects of hate and get on with our lives-without forgiving. 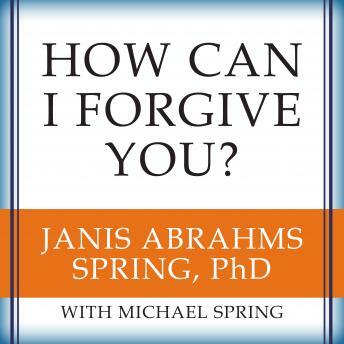 She also offers a powerful and unconventional model for genuine forgiveness-one that asks as much of the offender as it does of us.